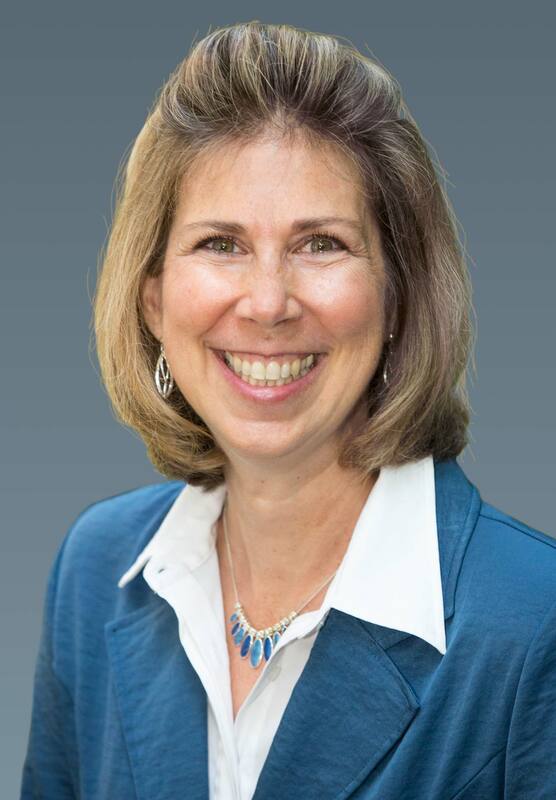 Cheryl Scanlan, MCC, CMCC, BCC is president of Way of Life Coaching, LLC (WOL), a full-service coaching company that is focused on both the professional and personal development of its clients. As a former executive of a multi-million dollar firm in New York, Cheryl knows the importance of business goals and the impact of teams. For more than a decade, she has worked with hundreds of professionals transforming people and their businesses in order to achieve their goals. There are 20,000 ICF certified coaches globally. Of that approximately 4% are certified as MCC or Master Certified Coaches. Cheryl combines her strong business acumen with top level credentials to bring you the very best professional coaching has to offer. She is dedicated to your best interest, from the very beginning. Cheryl Scanlan and her team are faith based. What does that mean for you? As followers of Jesus, we bring the values of integrity, truthfulness, honesty, grace and mercy into the relationship. These values support our clients in magnificent ways, however, we will never try to convert and cajole. Coaching will not be worth your investment without a high degree of trust. From “one day” to Day 1, let us help you start exploring what used to seem impossible. It would be our joy, honor and privilege to explore a partnership with you! Way of Life Coaching, LLC dba C3 Advantage, Mentor Coach Insights, and Promised Land Living (“Way of Life Coaching”) is committed to protecting the privacy of our users. As background, cookies are small text files that websites can send to your browser, which your computer stores, that can automatically collect server domain names, IP addresses, type of computer, type of browser, and information about what pages are visited. You can set your browser to decline cookies or notify you before accepting cookies, although if you decline them, the website may not function properly. Web beacons are small bits of code embedded in web pages or emails that can be used to communicate with cookies, count visitors, and understand usage patterns. Discontinuing active participation or closing your account at any time. We will use the information you provide to provide services to you. If you post, participate, or otherwise share information to a Community Discussion composed of users who have elected to join that group, we will disseminate your post to all members of that group. In most cases, the information will be shared immediately, although, in unusual cases, a Community Manager might postpone or block a post, as explained in our Conditions of Use. Please be aware that, even without your permission, it is possible that recipients may disclose your information outside the group. You should thus exercise discretion when deciding how much information to share in Community Discussion. We will record some or all Community Discussions. If you participate in any video- or audio-conference Community Discussions, your name, likeness, image, voice, appearance, and/or performance will be recorded and made part of the recording in which you appear (the “Product”). We will make the Product available to all current and future members of Way of Life Coaching. We will fulfill directions you give us about sharing your information with others or posting it publicly. For example, if we give users discussing a specific topic an opportunity to share their insights with coaches working in that area, we will explain in advance how we propose to share the information, and users could choose whether or not to share in that manner. We will use your contact information to communicate with you about your account or our services. We will share some information with third parties (such as a technology vendor) in the course of running our business, subject to strict contract controls over how they protect, use, and disclose the information. Statistical, anonymous information. We may create statistical, anonymous information about our users or web usage that is aggregated (grouped) and/or de-identified. This statistical, anonymous information does not identify you or any other specific individuals. We may disclose or sell such statistical, anonymous information to third parties, such as companies that we partner with. We will share your personally identifiable information with third parties or on the public portion of our website only as you specifically direct. We will clearly explain any such sharing opportunities to you in advance. We will not use or disclose any of your personally identifiable information for marketing purposes, unless you specifically and explicitly consent. You also could withdraw your consent for future sharing at any time. We will disclose information based upon a reasonable belief that the disclosures are required by law, including information requested via subpoenas and court orders. We may report what appears to be illegal or fraudulent conduct to law enforcement authorities. We may disclose information if we reasonably believe the disclosure is needed to respond to a threat of physical harm or to defend or assert legal rights. We will only disclose personally identifiable information about you in the ways we explain here. You can view the information you have submitted into your active Way of Life Coaching account at any time. If you submitted information to us in any way other than through the website, we will make commercially reasonable efforts to give you access to your information upon request. If you delete information from your Way of Life Coaching account, it becomes immediately inaccessible by you and cannot be viewed by any other user on the Way of Life Coaching website. Similarly, if you close your account, all of your information will become immediately inaccessible by you. For a limited time after data deletion or account termination, backup systems at Way of Life Coaching may still contain the data, although reconstructing it in an identifiable format might not be possible or feasible. Information you have shared through Community Discussion is inherently different from information in your private account. Information in Community Discussion is generally visible immediately to all users in that community, and it may remain in their possession even if later you would prefer to delete it. As a general matter, when users close their accounts, we do not remove the information they previously posted to the Community Discussion from our website and archives. However, if you ever wish to submit to us a specific request to remove personally identifiable information you had previously shared with a Community Discussion, please e-mail us at info@wayoflifecoaching.com; provided, however, that we reserve the right, in our sole discretion, to elect to either deny such request or to make commercially reasonable efforts to remove it. Of course, if you have already shared information through Way of Life Coaching with third parties that have already saved it, the information will persist in their records. We do not have access to or control over anything you choose to share with third parties. We are committed to maintaining the security of personal information. We use appropriate technical, administrative, and physical controls to protect personal information from loss, misuse, or alteration. If we share personal information with vendors, we subject them to strict contractual and legal controls regarding the protection, use, and disclosure of the information. If we share anonymous or de-identified data with third parties, we will contractually require them to keep it in de-identified form and forbid them to make any attempt to re-identify the data or allow others to do so. There is always some risk that unauthorized, wrongful, or illegal access to your information could occur or that data sent over the Internet could be intercepted. We urge you to take strong precautions to protect your password. Choose your username with care. Don’t use your name, email address, or anything linkable to your name unless you want everything you post, and others post about you, to be identified with you. Don’t upload your picture unless you are certain you want it to be shared. Consider the possibility that specific information you share may make it possible for others to guess your identity. Be aware that although our Conditions of Use require users to respect the confidentiality of posts by other users within their community groups, it is possible that users might violate the Conditions and disclose your information outside the Way of Life Coaching website. Please keep that in mind as you decide what information to post. If you post information about someone else, you must have that person’s prior permission, as explained in our Conditions of Use. We will not post advertising on the Way of Life Coaching website. A user who attempts to post advertising on the website is violating our Conditions of Use and is subject to sanctions under the Conditions of Use. At this time, children under the age of 18 cannot create Way of Life Coaching accounts. Parents may share information about their own children in accordance with the Conditions of Use. Whenever you visit, use, or register on the Site, you are agreeing to these Conditions of Use (“Terms”). If you do not agree to these Terms, you are not permitted to use the Site. Please read these Terms carefully. Thank you for visiting our website. This website and all related websites and services, including without limitation wayoflifecoaching.com; c3advantage.net; mentorcoachinsights.com; and promisedlandliving.com (collectively, the “Site”) is provided by Way of Life Coaching, LLC (“Way of Life Coaching” “we,” “us,” or “our”). The Site may include direct communications between you and Way of Life Coaching as well as “Community Discussion,” which includes web-based and/or telephone-based community discussions, including live video-conference and/or audio-conference discussions, group email messages, discussion archives, and other communications among users. We may modify these Terms at any time, although we expect that most changes will be only editorial in nature or reflect changes in the services we offer. However, in the unlikely event that we would ever make material changes in these Terms that would disadvantage you, we would ask you to consent to the new Terms before they applied to you. If you did not consent, many of the features offered by the Site would be unavailable to you. The date of the last update to these Terms is stated at the end of this document. You agree to use the Site only for your own personal purposes. You understand and agree that any commercial or organizational use whatsoever is strictly prohibited. “User Content” is content or information (including text, images, video, and audio) submitted or posted by users of the Site (including the Community Discussion services). Way of Life Coaching does not control or pre-approve User Content and thus bears no responsibility for its accuracy, appropriateness, or quality. You agree that you must evaluate and bear all risks associated with any User Content, and you further agree that Way of Life Coaching will be in no way liable for any User Content or any consequences of its inclusion or omission. Way of Life Coaching nonetheless retains the right (but not the obligation) to refuse to post or delete any User Content available through the Site, if we believe, in our sole discretion, that the User Content violates the letter or spirit of these Terms or is objectionable for any reason. You agree that you have no recourse against us if we refuse to post, or if we delete or refuse to delete, any User Content. Way of Life Coaching may choose to delegate the task of managing Community Discussion services to external Community Managers or List Managers (collectively “Community Managers.”) These Community Managers will be authorized to refuse to post or delete any User Content if they believe, in their sole discretion, that the User Content violates these Terms or is objectionable for any reason. You agree that Way of Life Coaching is not liable for the actions or omissions of Community Managers. You understand that, whether or not it is permitted, current or future users participating in Community Discussion might save or disclose your information in other places without your knowledge or consent. You agree that if that were to occur, neither you nor anyone else would have a remedy or claim against Way of Life Coaching, as explained in the Warranty Disclaimer and Limitation Liability section of these Terms. Therefore, please exercise discretion when deciding what information you choose to post. If you choose to participate in any web-based on telephone-based video and/or audio Community Discussion, you understand that such Community Discussions are being recorded and that your name, likeness, image, voice, appearance, and/or performance are being recorded and made part of the recording in which you appear (the “Product”). You grant to Way of Life Coaching and its designees the worldwide, irrevocable, non-exclusive, royalty-free right to use the Product in any format, now known or later developed. You grant, without limitation, the right to edit, mix, or duplicate and use or re-use Product in whole or in parts as we may elect. Way of Life Coaching or its designees have complete ownership of the Product, including all copyright interests. You grant to Way of Life Coaching and its designees the right to broadcast, exhibit, market, and otherwise distribute the Product, in whole or in parts, and alone or with other products, for any purpose Way of Life Coaching or its designees determine. This grant includes the right to use Product for promoting or publicizing. You agree that you have the right to agree to these Terms and are not restricted by any commitment to any third party in your ability to agree to these Term. You understand that Way of Life Coaching has no financial commitment or obligation to you as a result of your participation in any Community Discussion or these Terms. You acknowledge and agree that your use of the Site and your participation in the Community Discussions is reasonable and fair consideration for agreeing to these Terms. If you register and create an account on any Site, you must provide us with accurate information, and you will choose a password. You are responsible for maintaining the confidentiality of your password. You are not permitted to share your password with others, and you are responsible for all activities that occur under your account. You agree to notify us immediately of any unauthorized use of your account or other breach of security of which you are aware. Way of Life Coaching will not be liable for any loss you or others may incur as a result of someone else using your account, either with or without your knowledge. You may not use anyone else’s account. For contractual purposes, you (a) consent to receive all communications from us, including any possible messages about security incidents, in electronic form via your account in the Site or via the email address you submit when you register, and (b) agree that all Terms, agreements, notices, disclosures and other communications that we provide to you electronically satisfy any legal requirement that such communications would satisfy if they were in writing. You may not attempt to gain unauthorized access to the Site, other accounts, or computers or networks associated with the Site, its users, or Way of Life Coaching, including but not limited to using another person’s login credentials. You are required to respect the confidentiality and trust of others in the Way of Life Coaching communities you participate in. If users participating in Community Discussion share their username, picture, or other content in a way that reveals their identity or enables you to guess who they are, you are forbidden to share this on the Way of Life Coaching website or anywhere else, unless it is to reply to their posts or refer to their username within Community Discussion. You understand and agree that we are not engaged in the practice of medicine (including without limitation, the practice of psychology), law, accounting, or clergyman either through the Site or any associated communications or services, and that the Site is not a substitute for professional medical, psychological, legal, accounting, tax, or clergyman advice, diagnosis, or treatment. The Site is provided for informational purposes only and is provided “AS IS.” You are encouraged to seek professional diagnosis and treatment for medical conditions, and/or legal, tax, or accounting questions. YOU AGREE THAT WE HAVE NO RESPONSIBILITY TO PROVIDE MEDICAL, LEGAL, ACCOUNTING, OR RELIGIOUS ADVICE OR TAKE ANY RELATED ACTION IN RESPONSE TO ANY INFORMATION YOU PROVIDE ON THE SITE. You understand and agree that all communications between you and Way of Life Coaching and/or between you and others in Community Discussions are not protected by any doctor-patient, attorney-client, clergyman-penitent, or other legal confidentiality or privilege. We do not recommend or endorse any specific studies, treatments, tests, procedures, physicians, opinions, products, or tax, accounting, or legal strategies or advice, or other information that may appear on the Site or on links reached through the Site. We have no control over any clinical trial or treatment described on the Site, and we cannot guarantee the accuracy of information about any clinical trial or treatment described on the Site. We are not liable for cancelled or unavailable clinical trials, your inability to participate in a clinical trial, or any consequences resulting from your participating or not participating in a clinical trial. All content contained on the Site (collectively, “Content“), such as text, graphics, logos, icons, images, audio and video clips, digital downloads, data compilations, and software, is our property or the property of our licensors or licensees, and the compilation of the Content on the Site is our exclusive property, protected by United States and international copyright laws, treaties and conventions. All software used on the Site is our property or the property of our software suppliers and protected by United States and international copyright laws, treaties and conventions. We grant you a limited license to access and make personal use of the Site. No Content of the Site or any other internet site owned, operated, licensed, or controlled by us may be copied, reproduced, republished, downloaded (other than page caching), uploaded, posted, transmitted or distributed in any way, or sold, resold, visited, or otherwise exploited for any commercial purpose, except that you may download one (1) copy of the Content that we make available to you for such purposes on a single computer for your personal, noncommercial, home use only, provided that you: (a) keep intact all copyright, trademark and other proprietary rights notices; (b) do not modify any of the Content; (c) do not use any Content in a manner that suggests an association with any of our products, services or brands; and (d) do not download Content so as to avoid future downloads from the Site. Your use of Content on any other website or computer environment is strictly prohibited. If you believe that your work has been copied and is accessible on this Site in a way that constitutes copyright infringement, please email us at info@wayoflifecoaching.com. The requirements for what you must include in your notice are in the Digital Millennium Copyright Act, 17 U.S.C. § 512. We respond expeditiously to notices of claimed copyright infringement. If we become aware that a user is a repeat copyright infringer, it is our policy to take reasonable steps within our power to terminate or block that user. WE PROVIDE THE SITE “AS IS.” TO THE MAXIMUM EXTENT PERMITTED BY LAW, WE HEREBY DISCLAIM ALL EXPRESS AND IMPLIED WARRANTIES OR GUARANTEES, INCLUDING ALL STATUTORY WARRANTIES, WITH RESPECT TO THE SITE, INCLUDING, WITHOUT LIMITATION, ANY WARRANTIES THAT THE SERVICES ARE MERCHANTABLE, OF SATISFACTORY QUALITY, ACCURATE, FIT FOR A PARTICULAR PURPOSE OR NEED, OR NON-INFRINGING. WE DO NOT GUARANTEE THAT THE RESULTS THAT MAY BE OBTAINED FROM THE USE OF THE SERVICES WILL BE EFFECTIVE, RELIABLE OR ACCURATE OR WILL MEET YOUR REQUIREMENTS. WE DO NOT GUARANTEE THAT YOU WILL BE ABLE TO ACCESS OR USE THE SERVICES AT TIMES OR LOCATIONS OF YOUR CHOOSING. YOU CANNOT RECOVER ANY DAMAGES FROM US RELATED TO YOUR USE OF THE SITE, WHETHER IN CONTRACT, WARRANTY, TORT (INCLUDING NEGLIGENCE), OR OTHERWISE, INCLUDING ANY DIRECT, CONSEQUENTIAL, LOST PROFITS, SPECIAL, INDIRECT, INCIDENTAL, OR PUNITIVE DAMAGES. THIS LIMITATION APPLIES EVEN IF YOU ARE NOT FULLY COMPENSATED FOR ANY LOSSES, OR IF WE KNEW OR SHOULD HAVE KNOWN ABOUT THE POSSIBILITY OF THE LOSSES. All matters related to the Site will be governed by the laws of North Carolina, without regard to conflicts of laws provisions. If you have a complaint, question, or dispute (collectively, “dispute”) regarding the Site, you are encouraged to bring it to our attention. You may write to us here or email us at info@wayoflifecoaching.com, and we will try to address your concerns. If we are unable to resolve a dispute ourselves, any dispute relating in any way to the Site shall be submitted to confidential arbitration in Wake County, North Carolina, except that to the extent you have in any manner violated or threatened to violate our intellectual property rights, we may seek injunctive or other appropriate relief in any federal or state court. Arbitration under these Terms shall be conducted in accordance with the prevailing rules and procedures of the American Arbitration Association, with each party being responsible for its own costs and fees, and the joint costs of arbitration being shared equally by the parties. The arbitrator’s award shall be final and binding and may be entered as a judgment in any court of competent jurisdiction. By agreeing to arbitration in these Terms, you understand and agree that any dispute or claim relating in any way to these Terms or your use of a Membership, or to any products or services sold or distributed by Way of Life Coaching, LLC or through the Site will be resolved by binding arbitration, rather than in court. There is no judge or jury in arbitration, and court review of an arbitration award is limited. You understand and agree that you are relinquishing (i) any right to pursue claims or have disputes resolved in a court of law, (ii) any right to compulsory discovery, and (iii) any right to the appeal of any adverse arbitration decision. However, an arbitrator can award on an individual basis the same damages and relief as a court (including injunctive and declaratory relief or statutory damages), and must follow the terms of these Terms as a court would. You and we each agree that any dispute resolution proceedings will be conducted only on an individual basis and not in a class, consolidated or representative action. If for any reason a claim proceeds in court rather than in arbitration we each waive any right to a jury trial. You and we each also agree that you or we may bring suit in court to enjoin infringement or other misuse of intellectual property rights. If you have any concerns, inquiries, or complaints about the Site, including any actions taken by a Community Manager, please write to us at info@wayoflifecoaching.com. We appreciate your input. The effective date of these Terms is May 8, 2018.